Originally from California, Ricardo Martinez studied under acclaimed saxophonists Eugene Rousseau at the University of Minnesota, and Jean-Yves Fourmeau in France where he obtained the Medaille d'Or in saxophone and chamber music with honors at the Conservatoire à Rayonnement Régional de Cergy-Pontoise. Classically, Martinez has taken an interest in programing unique works for saxophone by Latin American composers. He is soprano saxophonist with the Soma Saxophone Quartet. As an educator, Martinez has been invited to teach and perform at San José State University, University of the Pacific Conservatory of Music, and Stanford University in Palo Alto. Currently, Martinez is pursuing a Doctor of Music with a minor in Music Education at Indiana University where he is assistant to Otis Murphy and holds the position of Associate Instructor of Saxophone. The Lanman Martinez duo first formed in the spring of 2017 to explore a reworked version of Lanman's original work for saxophone and harp for a performance at the Society of Composers National Conference at the University of Western Michigan in 2017. 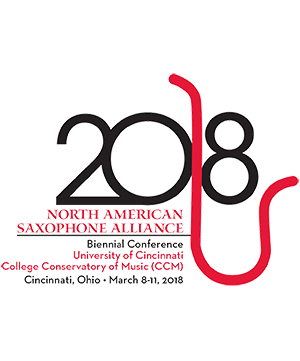 The duo continues exploring this unique formation and proposes another performance of this work for electric guitar and saxophone along with Dorothy Chang's In Quite Light for the 2018 NASA biannual conference.